Why choose Nuffield Health Glasgow Hospital for your weight loss treatment? At Nuffield Health Glasgow Hospital the key to our success in weight loss is our investment in you, to understand your specific problems, your motivation to lose weight and your long term goals. You will have the opportunity to meet with a bariatric consultant, dietician, psychologist and physiotherapist to ensure you are ready for the lifestyle change required in order to lose weight, maintain your weight loss and live a healthier life. 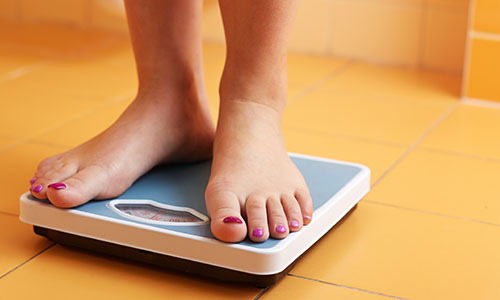 We offer a full range of weight loss treatments, from surgical, to non-surgical, in order to construct a tailored weight loss programme specific to you. No matter which of these treatments you choose to help achieve your weight loss goals, we aim to support you throughout your journey. This is why we have specialist dieticians, nutritionists, counsellors and physiotherapists on hand to provide support when required. We are also in partnership with a number of Nuffield Health Fitness & Wellbeing Gyms in Glasgow, who help improve the wellbeing of patients post weight loss treatment. Ask our customer services team about accessing these facilities. Our unit is made up by a team of six experienced bariatric consultant surgeons, a dietician, a clinical psychologist, a consultant physician and a specialist physiotherapist in order to offer you a full support system. Our consultants specialise in various parts of weight loss surgery and are able to provide a comprehensive range of treatments. In addition our specialist bariatric physiotherapist, Bethany Aitken, offers a non-surgical alternative support program. At Nuffield Health Glasgow Hospital we understand that taking the first step in your weight loss journey can be the biggest decision of your life. This is why we offer a complimentary one-to-one appointment with one of our specialist dieticians, to ensure you have all the information available. Our dieticians have extensive experience and knowledge of weight loss surgical procedures and our non-surgical programme, Counterweight. Your dietician will discuss all of the options available to decide what procedure would be the most suitable for you. If you would like to book an appointment to discuss weight loss surgery or counterweight treatment please contact our dedicated hospital enquiry team on 01413 349 441.